Joseph A. Guimaraes was born in Recifé, Brazil and holds dual Brazilian and American citizenship. He started showing interest in classical music at the age of four and began studying the tuba at the age of nine. Mr. Guimaraes is presently a Doctoral of Musical Arts student at the University of Georgia’s Hugh Hodgson School of Music where he serves as the tubist for the Bulldog Brass Society Quintet. Before accepting the brass quintet assistantship, Joseph studied at the Yale School of Music, where he obtained his Master’s of Music degree. 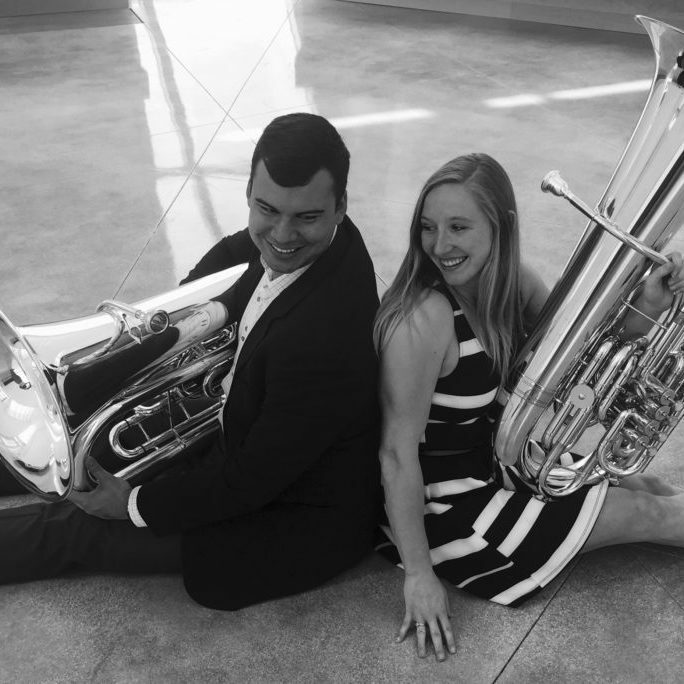 Preceding his studies at Yale, Joseph earned his Bachelor’s of Music degree in tuba performance from the Lynn University Conservatory of Music in Boca Raton, Florida, and before that, he studied Marine Biology at Florida Atlantic University. Joseph is currently a student of UGA tuba Professor David Zerkel and works closely with trumpet Professor Philip Smith. While at Yale, he studied with Philadelphia Orchestra tubist, Carol Jantsch, and during his undergraduate studies, he was a student of Empire Brass Quintet tubist and educator Kenneth Amis. Aside from his primary teachers, Joseph also studied extensively with former Florida Atlantic University tuba Professor Sean Murray and former Florida Philharmonic tubist Jay Bertolet. Mr. Guimaraes is a 2017 Paul and Daisy Soros Fellow. The fellowship committee awarded Joseph this prestigious award as one of thirty inductees from a pool of nearly eighteen hundred applicants. As part of this lifetime award, he was a recipient of an educational and professional development stipend. Joseph is an active chamber musician whose ensembles have concertized throughout the United States, Canada, and Japan. His groups have performed in chamber master classes for members of the Saint Louis Brass Quintet, Empire Brass Quintet, Dallas Brass Quintet, Center City Brass Quintet, Canadian Brass Quintet, and Orpheus Chamber Orchestra among others. Mr. Guimaraes has been accepted as the principal tubist for such festivals as the Pacific Music Festival – Sapporo, Japan (2017), Chautauqua Music Festival – NY State (2017*, 2013), and AIMS Festival – Graz, Austria (2016*). While in Japan, he worked with and performed alongside members of the Wiener Philharmoniker, Berliner Philharmoniker, San Francisco Symphony, Chicago Symphony, The Metropolitan Opera, Pittsburgh Symphony, and others. Joseph has participated in master classes given by Daniel Perantoni, David Cooper, David Kirk, Michael Grose, Øystein Baadsvik, Aaron Tindall, Eric Ruske, Jay Hunsberger, and others. 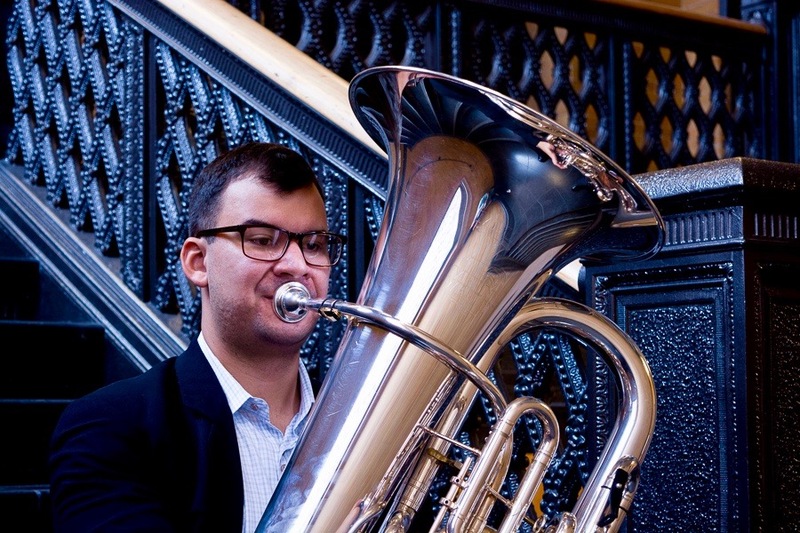 As well as being a finalist for several competitions, Mr. Guimaraes was awarded the first prize in the solo artist division competition of the 2017 North East Regional Tuba, and Euphonium Conference (NERTEC) held at Ithaca College, NY. He has also appeared as a featured soloist with the Florida Atlantic University Symphony Orchestra (2007, 2009), and with the Florida Atlantic University Wind Ensemble (2008) after being named the winner of their respective competitions. 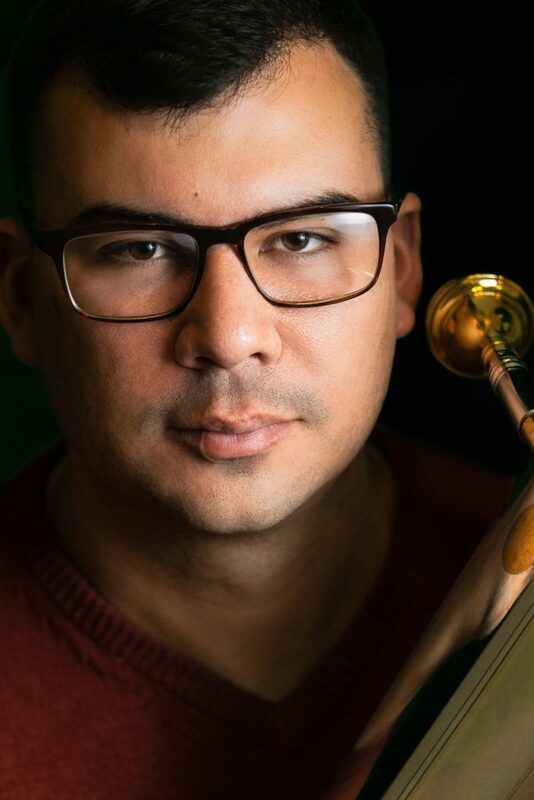 Mr. Guimaraes has been invited to audition for many of the country’s leading ensembles and was a semi-finalist for the principal tuba position at the Louisville Orchestra. Joseph has performed in such ensembles as The Yale Philharmonia, The Pacific Music Festival Orchestra, Miami Symphony, Boca Raton Symphonia, Lynn University Philharmonia, Orchestra Miami, Chautauqua Music Festival Orchestra, the University of Georgia Brass Band, and the Orchid City Brass Band among others. 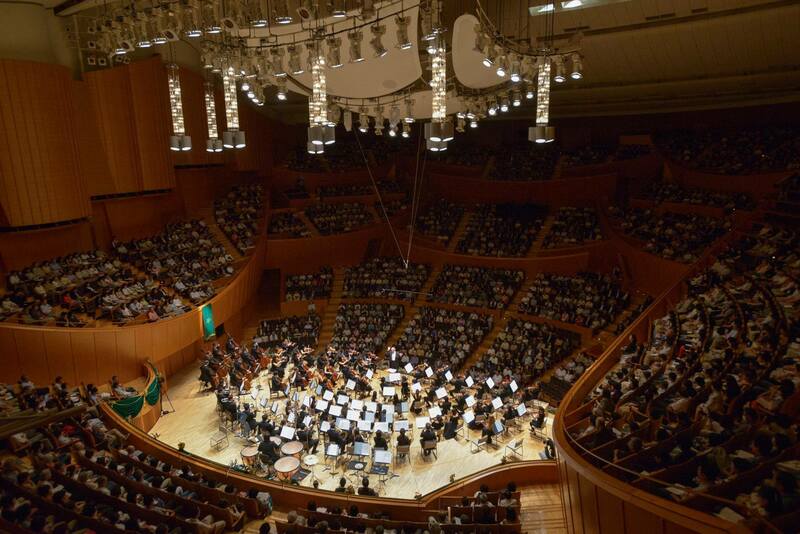 Mr. Guimaraes has performed under the baton of distinguished conductors Valery Gergiev, Jun Märkl, Ignat Solzhenitsyn, Marin Alsop, Heiichiro Ohyama, Daniel Matsukawa, Peter Oundjian, Giancarlo Guerrero, Guillermo Figueroa, Timothy Muffitt, Jon Robertson, Jerry Junkin, Ray Cramer, and H. Robert Reynolds among others. Complimentary to his engagements in classical music, Joseph also keeps an ongoing presence as an educator in the marching arts. Mr. Guimaraes is currently a member of The Cadets Drum and Bugle Corps’ brass educational team and is an active judge for the USBANDS competition circuit judging at both regional and national finals events. Joseph marched with The Cadets Drum and Bugle Corps in 2006, 2008, 2010, and with the Spirit from Jacksonville State University Drum and Bugle Corps in 2005. During his time at Yale, he served as the teaching assistant to Yale director of bands Thomas Duffy. In this role, Mr. Guimaraes ran sectionals, rehearsals, gave private lessons, and supervised logistical aspects of public performances for both the Yale Wind Ensemble and the Yale Precision Marching Band (YPMB). He has worked with such groups as the University of New Haven Bands, the Cadets Drum and Bugle Corps (2012, 2018, 2019), Florida International University Indoor Winds (Championship season), Charles W. Flanagan High School, John I. Leonard High School, Marjory Stoneman Douglas High School and others. In 2015 Mr. Guimaraes launched his company The Valve Beanie and founded The Mouthpieces for All Initiative (TMPFAI). TMPFAI is a project whose mission is to promote and encourage music education to youth while bringing focus and understanding to specific humanistic elements taught through the arts that can be synthesized into day-to-day life. With the help and support of renowned mouthpiece maker Terry Warburton, TMPFAI sent its first mouthpiece aid package to Recifé, Brazil in May 2016. Since then, TMPFAI has donated over twenty-thousand dollars worth of equipment to students both in the United States and abroad. Joseph is an advocate of music education and its positive impact on the human condition. With TMPFAI, he hopes to pave the way for national musical education reforms. Publications such as The New York Times, The New American, The Paul and Daisy Soros Foundation, Yale University News, Yale University School of Music, Lynn University’s iPulse, and the Chronicle of Higher Education have featured Mr. Guimaraes and his philanthropy efforts. Joseph participated in the 2017 World Leadership Forum held in New York City, the 2017 and 2018 Paul and Daisy Soros Fall Conference, and was an auditor for the Symposium on Music in Schools hosted by the Yale School of Music in June of 2017. In keeping with Mr. Guimaraes’ mission of music education, he served as a teaching artist with the Music in Schools Initiative program associated with the Yale School of Music and conducted the All-City Honors Ensemble in New Haven, CT.
Mr. Guimaraes is an avid conductor who has worked with groups such as the Lynn University Philharmonia, and The Florida Mandolin Orchestra. Joseph was appointed the musical directorship of The Florida Mandolin Orchestra in 2014 where he stayed until his departure from Florida in 2016. Joseph is especially proud of his collaboration with renowned Igor Stravinsky scholar David Noon during the 2015 New Music Festival, and the 2016 Stravinsky Symposium; both hosted by Lynn University’s Conservatory of Music. Mr. Guimaraes presently resides in Statham, GA, with his wife, Nicole Guimaraes. * Denotes festivals whose offer was not accepted.